Monday Morning Munch No. 13 – Hide and Seek? I have a simple mind. Maybe that’s why chocolate wrappers and tiny things like that speak to me. This chocolate wrapper especially struck me. As I read that I was struck by the inconsistencies of the human race. People go to far away colleges and on world-wide voyages to escape current situations so we can “find ourselves,” but then when we get there what happens? 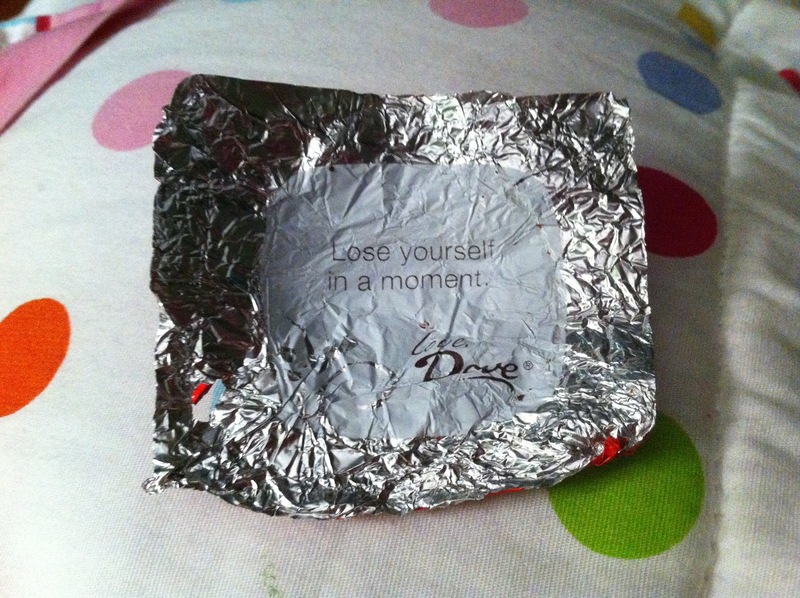 Dove chocolate tells us to lose ourselves in a moment. Wait, wait, wait. Are we supposed to find ourselves or lose ourselves? I mean, let’s be honest, the more we dig into ourselves the unhappier we become as we realize we aren’t all there is to life. 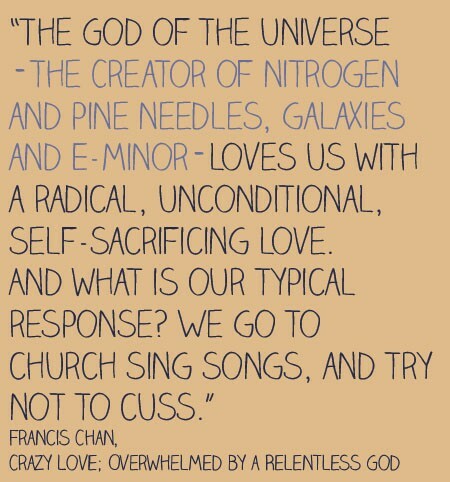 That’s why we (think we have to) go to far away lands to discover what we’re really about. The little chocolate wrapper is partially right though (and therein lies its danger). 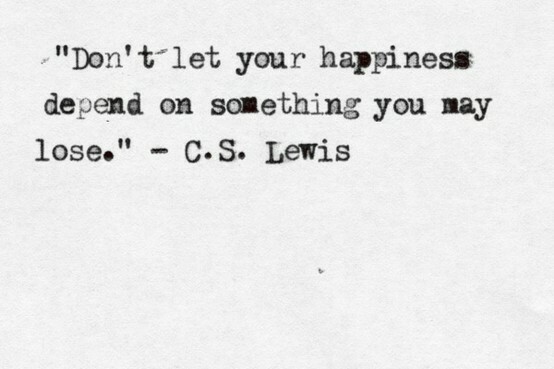 You do need to lose yourself. “Lose,” as in 86 your life, nix yourself, give yourself the slip. In contrast to the glorious inheritance we receive upon losing ourselves for the Lord’s sake, “finding ourselves” just isn’t that glamourous. The list of verses proving our depravity go on. We have to first lose ourselves and our pride before we can realize and accept the fact that we are a helpless and hopeless people without the grace and mercy of the holy and just God of the universe. So I admonish you to indeed lose yourselves. Don’t gain the whole world and lose your soul. Instead, lose yourself in the greatest exchange of all times; not to escape or evade the reality of this present life, but to accept the pardon of a gracious and perfect God who sent His Son to die for our sinful and wicked selves. Studies show that 10 out of 10 people die, so what will it profit you if you base all happiness on something (this life) you will one day lose? Therefore, lose your life now so you may keep it for eternity, that is what God is asking of you today. 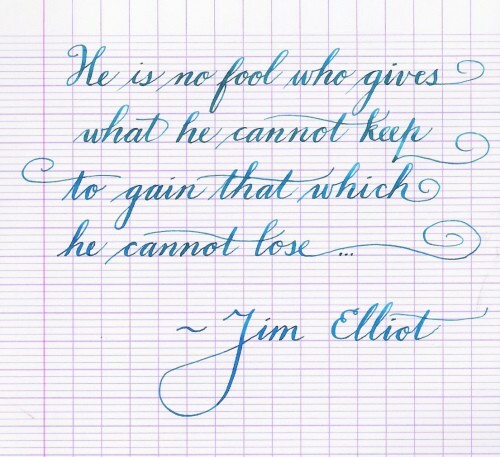 Ironically enough, a synonym for “lose” is unburden. Therefore, unburden yourself and turn to Jesus, the One who bore your burden so you wouldn’t have to.